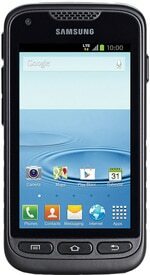 The Samsung Galaxy Rugby LTE/Pro is a rugged Android smartphone with NFC. The Galaxy Rugby LTE (SGH-I547C) is a chunky device that is built to MIL-STD 810F and offers IP67 dust and water resistance. A Gorilla Glass screen protects a 400 by 800 pixel Amoled display, and the handset is powered by a 1.5 GHz dual core Qualcomm Snapdragon MSM8960 processor and runs Android 4.0 Ice Cream Sandwich. Released in October 2012, the Galaxy Rugby Pro is an AT&T exclusive in the US. In other markets the phone is known as the Galaxy Rugby LTE. Does anyone know if the NFC antenna is located in the back or the front of this phone?